As a handyman, one of most common tasks we perform is screen door repairs. If you have a screen door at your home then chances are; you must have faced some issues with it at some stage. But extensive experiences of working with screen doors has taught us one thing-If you understand your needs properly and act according to it then screen doors won’t trouble you ever. What to do with screen doors when you have pets at home? The most viable and ideal solution is to install pet grade screens. These screens come in various types and security features. Choose the best pet grade screen depending on the security you want and install it on your screen door. If you are looking for professional results then call a handyman to install the pet grade screen. We have been doing this task for a long time and can easily help you with pet grade screens. Remember that a retractable screen door isn’t a good idea when you have pets at home. The continuous opening and closing of the door affect the top and the bottom part and it may result in damaging the door. Hence ensure that you opt for a high-quality retractable screen so that it lasts longer. How about wooden screen doors? Wooden screen doors provide a unique look which draws a lot of attention and has made them popular among home-owners. But they come with a peril. These type of doors need to be painted every two years so that they maintain their fascinating look. Also, they are not a storm door in the winter. Why go for a storm door? We love storm doors and there is a reason behind it. 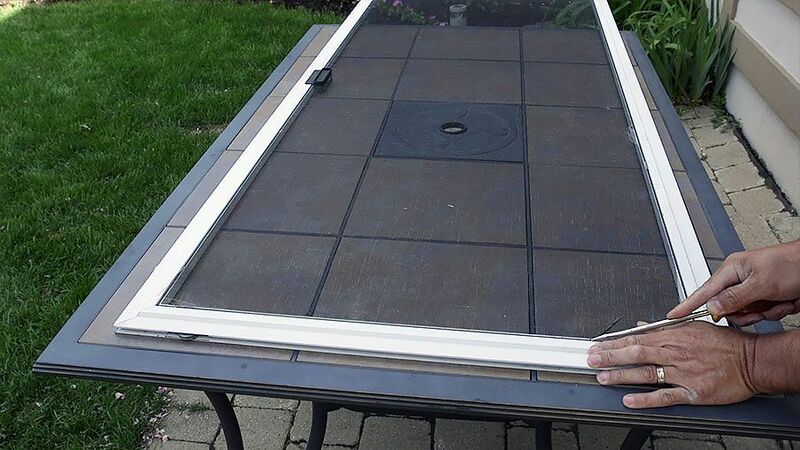 A screen door should have effective seals to ensure it withstands the effects of a strong wind. If the seals of the door are not working properly then you can hear the wind whistling as it enters the house. However, a storm door has no such issues. It prevents the wind from entering the home and you stay safe. How to solve the issue of slam shut? The issue of slam shut is very common. We get several calls from customers regarding their dooring being slam shut. Fortunately solving this issue isn’t a rocket science and it doesn’t cost a bomb as well. Slam shutting can be fixed by adjusting the screw on the end of the closing cylinder. Having a safety chain is an added advantage as it prevents the door from slamming back if the wind catches it. What is the best time to repair a screened door? The general notion among customers is that summers are the best time to repair your screened door. But we do get requests for repairing screened doors throughout the year. Although summers are preferable, there is no harm in repairing your screen door during winters. All you need is to be a bit more cautious about the atmosphere when you decide to repair your screen door during winters. Ensure that you check your door in the fall before the cold weather gets here. Don’t worry; we are there to help you! When it comes to screen doors, there is more to it than what meets the eye. A lot of times homeowners face an ingenious problem with screen doors and hence they don’t know what to do in such cases. But no need to worry anymore as we, at Advantage Home Contracting, are fully equipped to help you out! Our extensive experience and our highly-skilled team members are capable of offering solutions to all your handyman problems. Get in touch with us today for anything related to screened doors. I actually hired Advantage Handyman to do all three of my bathrooms. I hired them because they were turn key and they could handle the enitre job. They gutted all three of my bathrooms and rebuilt them from the ground up using my design choices. I was very impressed not only with work but the workers who were courteous, knowledgeable and willing to do the extra things to get the job done. The owner himself came out several times to check on the progress of the job and to make sure I was satisfied. This is a company it was a pleasure doing business with. I had Advantage Handyman come visit to work on two of my bathrooms upstairs, they did such a great job, I had them come do my basement. First, we decided to hide the plumbing pipes by building out some benches along the windows.